Sound travels through the air like ripples on a pond surface when a stone is dropped into it. The sound radiates outwards in all directions from the source, gradually reducing in intensity or until an object stops its progress. Sound is described in different ways but primarily in terms of intensity and frequency. 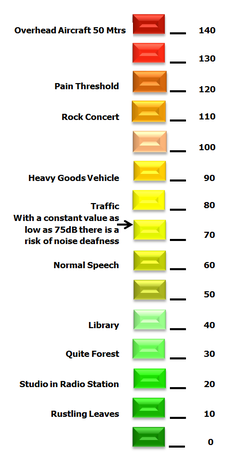 The sound intensity is described in dB. 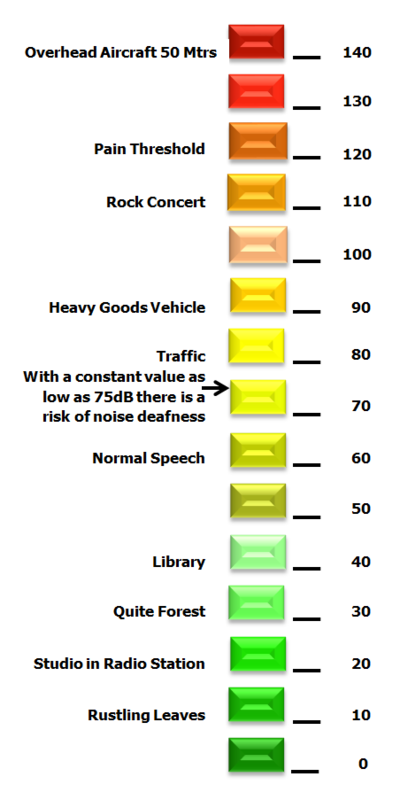 A low dB indicates a soft sound, a high dB value indicates a loud sound. Frequency describes how high or low pitched the sound is (Hz). Loud music remains the main source of noise complaints in England, Scotland & Wales, while in Ireland almost 70% of complaints emanate from road noise in homes, hotels and apartments in busy thoroughfares! 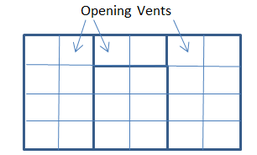 Secondary glazing is an excellent solution for Hotels, Pubs & Clubs or factory’s close to housing to keep noise in. Finished with plasterboard on dabs. An aperture was left in the wall to house the window. A typical Georgian window from a Builders Merchant with three openers was fitted. The secondary was installed behind the window on timber liners to provide a minimum pane spacing of 100mm. 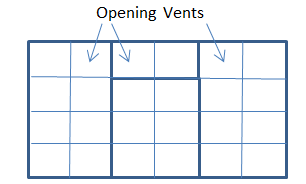 The condition of the primary window will have an effect on the overall system performance. ‘`Where high sound insulation of windows is required, airspace of widths of greater than 100mm may be required with one glass width being of a greater thickness than the outer pane (if fitting inside a double glazed window). However beyond 200mm the improved acoustic value is small. Increasing the width of the cavity between the primary window pane and inner pane increases sound insulation - (ensure that the component glasses differ in thickness by at least 30% - e.g. 4mm + 6mm or 6mm + 4mm. Fitting of absorbent materials to the reveals is beneficial as it reduces reverberation in the cavity’’.